Take a walk through Walt Disney World with TouringPlans's Len Testa and Jim Hill from JimHillMedia.com as they talk about upcoming projects and rumored happenings from all around the "World". Come along to our happy place where we can relive favorite childhood memories! Classic TV shows, movies, music, games! We'll even talk about modern things that can make you feel like a kid again! The weird, obscure, mysterious, and lesser-known side of Disney. 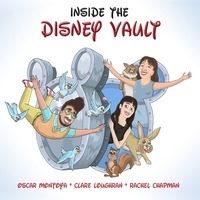 Hosted by major Disneyheads Natalie Palamides and Carrie Poppy. 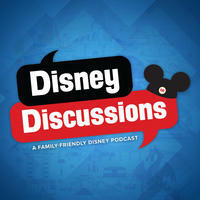 The Disney Dish with Jim HillI Want That: Episode 04: Do you remember Disney Bunnies? The Disney Dish with Jim Hill | I Want That: Episode 04: Do you remember Disney Bunnies? ResortLoop.com - A Walt Disney World Podcast!ResortLoop.com Episode 648 - New Dining Options! ResortLoop.com - A Walt Disney World Podcast! | ResortLoop.com Episode 648 - New Dining Options! The Disney Dish with Jim HillUniversal Joint Episode 17:: How does Disney’s acquisition of Fox effect Universal’s “Simpsons Ride” ? The Disney Dish with Jim Hill | Universal Joint Episode 17:: How does Disney’s acquisition of Fox effect Universal’s “Simpsons Ride” ? ResortLoop.com - A Walt Disney World Podcast!ResortLoop.com Episode 647 - Let's Spend Some Money! ResortLoop.com - A Walt Disney World Podcast! | ResortLoop.com Episode 647 - Let's Spend Some Money! The Disney Dish with Jim HillFine Tooning with Drew Taylor Episode 33: Are you ready for Bo Peep, action hero? The Disney Dish with Jim Hill | Fine Tooning with Drew Taylor Episode 33: Are you ready for Bo Peep, action hero? The Neverland PodcastNeverland 280: Star Wars Celebration 2019! 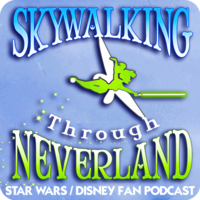 The Neverland Podcast | Neverland 280: Star Wars Celebration 2019! The Disney Dish with Jim HillDisney Dish Episode 215: Why is “Mickey & Minnie’s Runaway Railway” running behind schedule? The Disney Dish with Jim Hill | Disney Dish Episode 215: Why is “Mickey & Minnie’s Runaway Railway” running behind schedule? The Disney Dish with Jim HillMarvel Us Disney Episode 31: When will the X-Men be joining the Marvel Cinematic Universe? The Disney Dish with Jim Hill | Marvel Us Disney Episode 31: When will the X-Men be joining the Marvel Cinematic Universe? A while back we talked about our favorite resorts to just sit back and relax and we asked you (#LooperNation) for your favorites . . . and so . . . here is your show!!! The Neverland PodcastNeverland 279: Shazam's Disney Connection! The Neverland Podcast | Neverland 279: Shazam's Disney Connection! 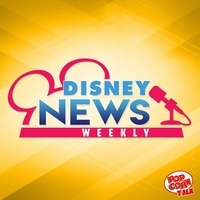 ResortLoop.com - A Walt Disney World Podcast!ResortLoop.com Episode 644 - It's Our Annual April 1st "News" Show for 2019! ResortLoop.com - A Walt Disney World Podcast! | ResortLoop.com Episode 644 - It's Our Annual April 1st "News" Show for 2019! The Neverland PodcastNeverland 278: Dumbo and Planet Comicon 2019! The Neverland Podcast | Neverland 278: Dumbo and Planet Comicon 2019! The Joyful Miles PodcastEp 87: Break over, we're back! The Joyful Miles Podcast | Ep 87: Break over, we're back! ResortLoop.com - A Walt Disney World Podcast!ResortLoop.com Episode 643 - Captain Marvel Review - SPOILER ALERT!!!!! ResortLoop.com - A Walt Disney World Podcast! | ResortLoop.com Episode 643 - Captain Marvel Review - SPOILER ALERT!!!!! SPOILER ALERT!!!! Bob Bobby give an honest review of Captain Marvel. And what was up with that cat?! SPOILER ALERT!!!!! The Disney Dish with Jim HillMarvel Us Disney Episode 30: Will “The Eternals” launch the cosmic age of Marvel movies? The Disney Dish with Jim Hill | Marvel Us Disney Episode 30: Will “The Eternals” launch the cosmic age of Marvel movies? ResortLoop.com - A Walt Disney World Podcast!ResortLoop.com Episode 642 - What Were These People Thinking?! ResortLoop.com - A Walt Disney World Podcast! | ResortLoop.com Episode 642 - What Were These People Thinking?! We found three stories of people not being very "Disney Like" that we just had to share! Anybody seen Tim?! The Neverland PodcastNeverland 277: Planet Comicon with Alan Tudyk! The Neverland Podcast | Neverland 277: Planet Comicon with Alan Tudyk! ResortLoop.com - A Walt Disney World Podcast!ResortLoop.com Episode 641 - It's A Potpourri Show! ResortLoop.com - A Walt Disney World Podcast! | ResortLoop.com Episode 641 - It's A Potpourri Show! We talk . . . Bricks . . . Films . . . Food . . . Mermaids . . . and more!!!! The Neverland PodcastNeverland 276: Willow Turns 30! 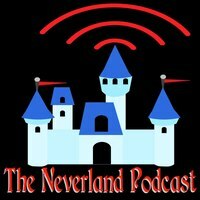 The Neverland Podcast | Neverland 276: Willow Turns 30!